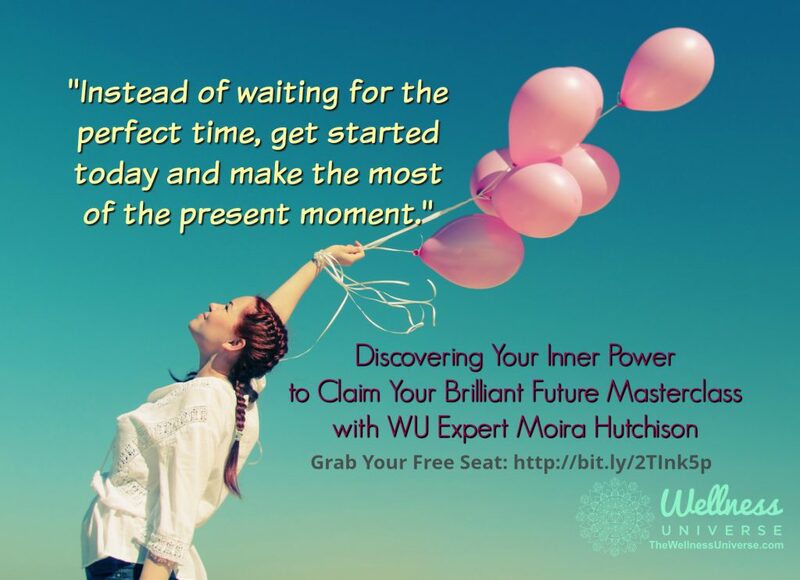 Whether you are a wellness or spiritual entrepreneur or on a journey to discovering your personal greatness, but you feel stuck, uninspired or have lost direction or confidence, we want you to meet Wellness Universe Expert Moira Hutchison in her Free Masterclass. Moira is expert at bringing awareness to blocks and hidden barriers that keep us from living our best life and shining as brightly as we know we can. – Feel stuck and needing a real solution, not a quick fix, but a lasting change. – Want something more out of life. What are your dreams? Your wishes? What do you KNOW you were born to do, but just don’t know how to get there? – Are tired of setting goals that you never reach, feeling like you’re spinning your wheels or riding a roller coaster to nowhere? There IS a way to live out your passion, power AND with calmness and peace of mind. You are a person who is ready to invest in yourself and do what it takes to create the life you love. And together we can make that happen for you. For more than 20 years Moira has met and worked with people just like you: Intelligent, motivated, smart, hard-working, intuitive and insightful people who know there’s a better, easier way that will allow flow and success to unfold and knowing deep down that they deserve to have it. She knows the frustration and fears that can derail your life because she has been there! In fact, the challenges she has faced in her own life have led her to this work that she loves so much in helping people turn their lives around as she did. Boost resilience, confidence, vision and feel excited about your future and the part you play in making the world a better place. – Create the motivation you need to get on track and do the things you need to do in the right order to reach your goals. – Access your true calling and the gifts only YOU have in order to experience the successes that up until now have felt outside of your grasp. – Release the irritations and frustrations that are keeping you stuck.